“Breezy” reminds us to move with the wind rather than against it. Instead of fighting what is, the mandala encourages us to accept where we are in the big scheme of things, set our sites for where and who we want to be, and then fly like the wind to our full potentiality. 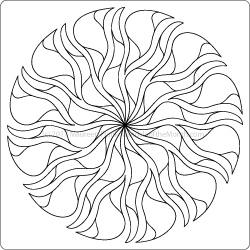 If you’d like this mandala to color, send a request via my contact page.